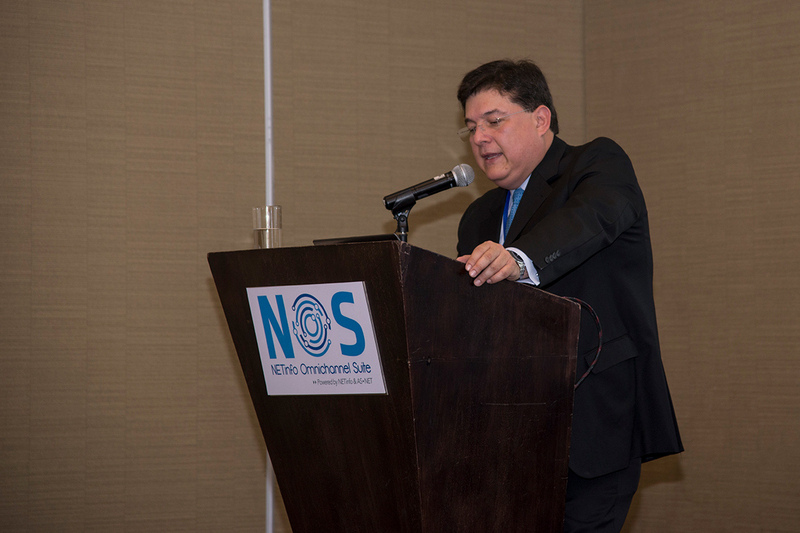 Designed to meet the needs of financial entities in cutting-edge technology, the NOS solution entered the Colombian market through AS•NET and NETinfo. 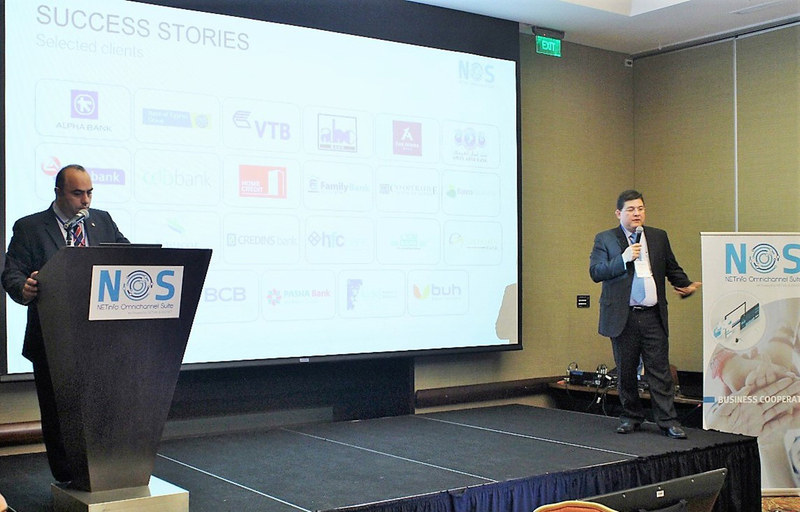 Designed to meet the needs of medium and small financial entities seeking affordable solutions to invest in cutting-edge technology, the NOS solution (NETinfo Omnichannel Suite) entered the Colombian market through the companies AS•NET and NETinfo. NOS is a SaaS model, offering an easy, agile, secure and intuitive omnichannel application, and is based on NETinfo Digital Banking Platform, a tool of global recognition. NETinfo and AS•NET organized a conference together with former IT vice-minister, Maria Isabel Mejia, where they exchanged views on digital transformation and Colombian consumer trends: omnichannel, millennials, mobility, analytics and virtual assistants. 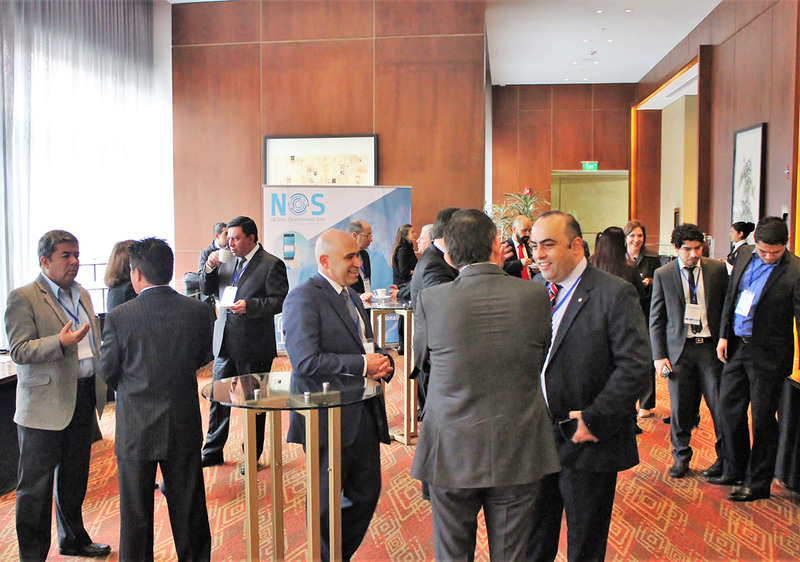 NETinfo’s CBDO & Executive Board Member, Polys Hadjikyriacos, visited Colombia to participate the conference and to present NOS. The solution is powered by NETinfo, with head offices located in Cyprus (European Union) and with clients in 30 countries. In Colombia, it is represented by AS•NET, a company specialized in Business Processing Outsourcing Services (BPO) to the cloud. The structure of the SaaS model places the solution in a very competitive and feasible terrain in comparison with other solutions used by larger entities. Indeed, it does not require infrastructure and its costs for the entity are based on the transaction volume made by customers in Web and mobile channels. According to the former IT vice minister, María Isabel Mejía: “There are many small and medium-sized financial institutions in Colombia, and the digital solutions that target the banking sector will allow to speed up their digital transformation. The search for accessibility and equality for all Colombians is the challenge for all entrepreneurs in the country.” Also, Mejía mentioned that open banking will allow financial institutions to serve citizens in a more transparent way, by allowing the integration of other industries. New business models will evolve, enabling ecosystem-based banks – FinTech. Customers will look for better tools to manage their finances more efficiently. NETinfo’s representative in Colombia, Kurt Rodríguez, assures that this solution would be the first option in the cloud that is offered in Colombia, through an omnichannel system with state-of-the-art technology which seeks to meet the needs of smaller financial institutions in optimizing their virtual channels to improve the experience of their customers. The financial institution should not worry about high initial investments in purchase of licenses, maintenance, infrastructure, disaster recovery plan and specialized personnel for the operation of its Web and Mobile channels. Everything will be covered by AS•NET and NETinfo under the SaaS mode offered by the NOS solution. The centralized administration module offered by NOS will allow the entity to solve more than 90% of all its requirements for transactional content, look and feel, advertising campaigns and customer segmentation, without depending on the supplier. This will help achieve unbeatable time to market of just a few days for implementing any change or new campaign. The implementation of the project is very fast. It just takes 6 months for the entity to start offering the best omnichannel experience of the market to its customers through Web and mobile channels. It will allow customers to be at the centre of their virtual channels, guaranteeing a unique, simple, agile and intuitive experience. It offers the possibility to personalize the transactions according to the preferences of the client, which can define what information you want to see when entering the Web page and which recurring transactions are automatically deployed, making your recurring navigation more personalized and agile, while keeping all the transactional potential of the channel. transaction level, but also to request new products and services that he requires or that the entity offers, all through virtual channels (Web and mobile), without having to move. NOS offers its clients the PFM (Personal Finance Manager) service, which provides tools for managing money, controlling expenses or scheduling savings goals, all focused on the efficient management of resources.